Oklahoma City’s Red Coyote Running and Fitness was named the 2015 Running Store of the Year. 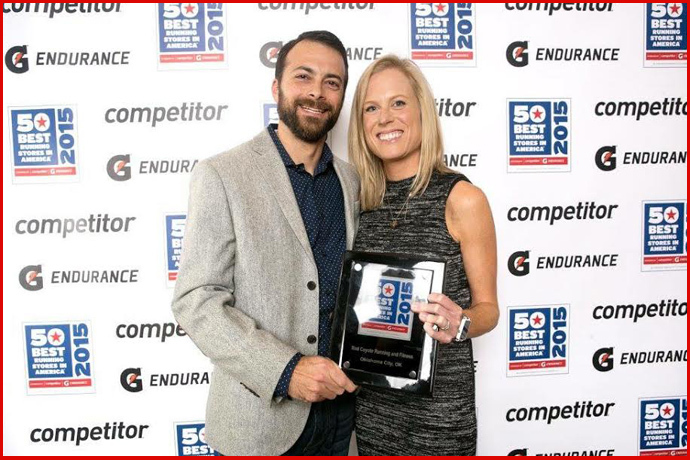 The store, started in 2010 by Jon and Burke Beck, earned a spot on the prestigious 50 Best Running Stores of America list for the fifth time and was named a finalist for the third time. 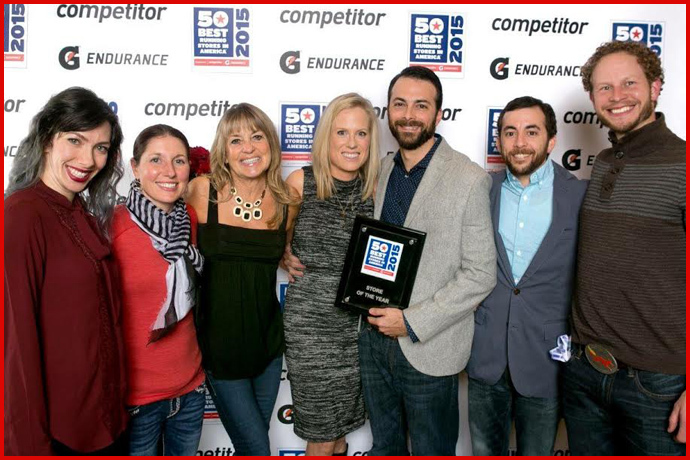 The 50 Best Running Store Awards was sponsored by Competitor, Gatorade Endurance and Running Insight. Red Coyote was selected from three other finalists, which included A Snail’s Pace in Southern California West Stride in Atlanta and Fleet Feet Rochester in Central New York. The 5,500-square-foot store is bright, clean, well-merchandised and has developed several wildly successful running programs, including its Pack Pint Runs, co-sponsored by a local brewery and often benefitting a good cause, and it’s Newbie Running Program that has attracted hundreds of beginner 5K runners since its implementation. The Becks credited their entire staff of 22 people for the success they have achieved and in helping create a family atmosphere within the store. The store’s name was inspired by the owners’ runner dog Pancho, who resembles a red coyote. “Over a beer on our first date, Jon and I talked about how we would both love to own a running store someday,” Burke said. In 2010, they moved back to Oklahoma City, Burke’s hometown, to open Red Coyote.